Mr. Pusch has been serving clients as a Registered Representative of Legend Advisory since 2002. 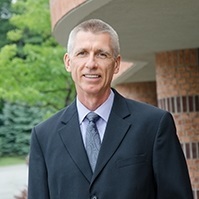 He holds a Masters Degree in Business Administration from Niagara University. As a financial adviser, Mr. Pusch understands that everyone’s financial and life situation is unique and he is dedicated to learning about your individual goals and working with you to help you achieve them. As an independent financial professional he is not limited to one company’s products and can offer a wider range of products and services to fit your individual situation.